Send letters or packages to Camp Jeanne d’Arc, 154 Gadway Road, Merrill, NY 12955. Please mark letters and packages with your daughter’s name and cabin (if you know it). Campers write home every Sunday and Wednesday unless they are out of camp on a hike or a canoe trip. Let us know if you do not receive two letters per week. Frequent, brief and positive notes or postcards from parents, relatives, and friends rather than long, occasional letters, are better. Small packages with fun things to do – not food which attracts critters into the cabins – are particularly welcome. These may be purchased at www.thewrinkledegg.com. If food is sent in a package, it is kept in the Chalet to be retrieved at a scheduled time for a party or quick snack. The regular mail is slow so plan packages accordingly. Suggestion: Mail a letter to your camper before she leaves so that it will be waiting for her at camp when she arrives! 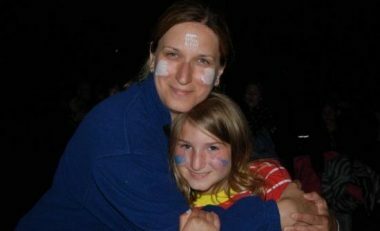 Camp Jeanne d’Arc, along with hundreds of camps throughout the United States and Canada, use Bunk1 for families to stay connected with their campers. Bunk Notes is kind of like the “email version” of camp communication. Bunk Notes is accessed through our web site and/or your Bunk1 account. This is how it works. You will write an electronic Bunk Note to your daughter through Bunk1. You will attach a Bunk Reply, which is basically a blank sheet of stationary with a special code on top and bottom. She will then write a hand-written letter home in response to your Bunk Note. You will receive, by email, a scanned copy of the handwritten letter from your daughter. This email will arrive within a day or two of your original Bunk Note. Learn more about Bunk1. 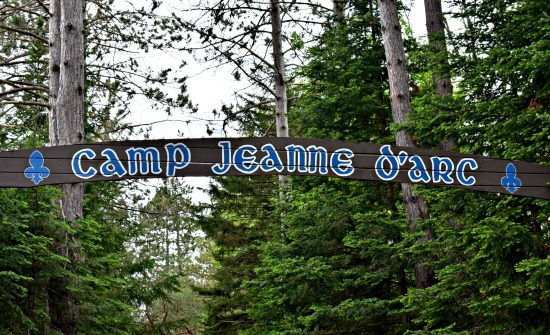 If you have any more questions about Bunk1 and how it operates, you may call Bunk1 directly at 1-800-216-9472 or email us here at camp at info@campjeannedarc.com. Please provide us with feedback about this service and this vendor. 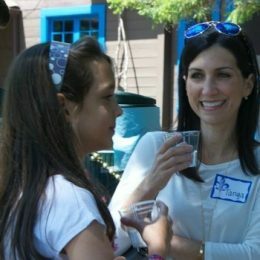 Family or friends that would like access to Bunk1 in order to send your camper a Bunk Note or view photos, will need an invitation code from you, the camper’s parent. If your daughter isn’t the best about providing details in her letters home, no fear; we’ve got you covered. Every evening we will publish a brief newsletter about the goings-on at camp on Bunk1. You will be informed about the weather, the food and the day’s activities. Be on the lookout for camp photos as well. We upload new photos 3 times per week to the Bunk1 site. If you have not seen a picture of your daughter in a few days, please let us know. Please be patient with us as the internet connection can be somewhat unpredictable up in the Adirondacks. We’ll do our absolute best. My 14 year old daughter will be a third year camper this summer and has loved every minute of the experience. The campers and counselors are friendly and caring. There are activities suited for everyone and the environment is safe and nurturing. We feel good knowing our daughter is enjoying the outdoors while also learning to become an independent and responsible young woman. Thank you Camp Jeanne d’Arc!